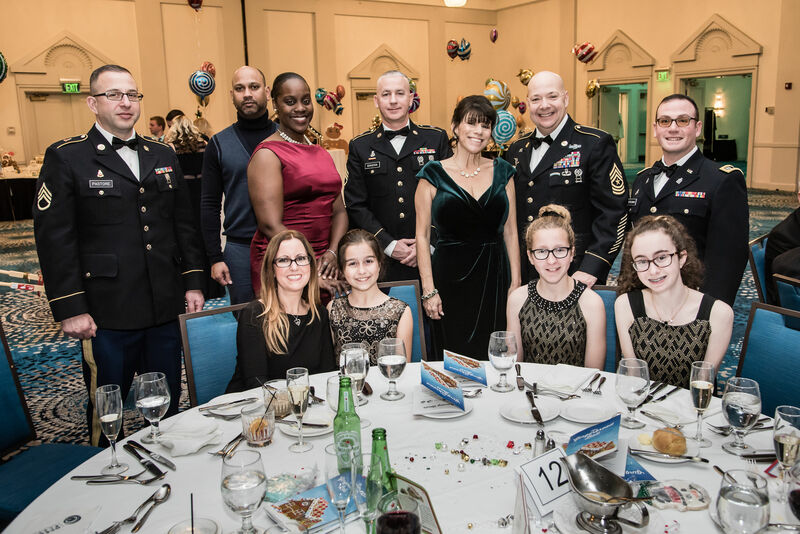 The 2018 Gingerbread Ball was held on December 1, 2018 at the Ocean Place Resort and Spa, a Community Partner of the AUSA Monmouth Chapter, in Long Branch, NJ. The AUSA Monmouth Chapter co-hosted the Ball with the Mid-Atlantic Chapter of the Army Aviation Association of America (AAAA) and 3 Community Partner co-hosts - the Garden State Chapter of the Association of Old Crows (AOC), the Greater Monmouth Chapter of the Armed Forces Communications and Electronics Association (AFCEA) and the New Jersey Bakers Board of Trade (NJBBT). This event, the “Jewel in the Crown” of the Monmouth Chapter Program, attracted 170 attendees and netted in excess of $60,000 to be donated to the Fisher House Foundation, a 501(c)3 Not For Profit Organization. 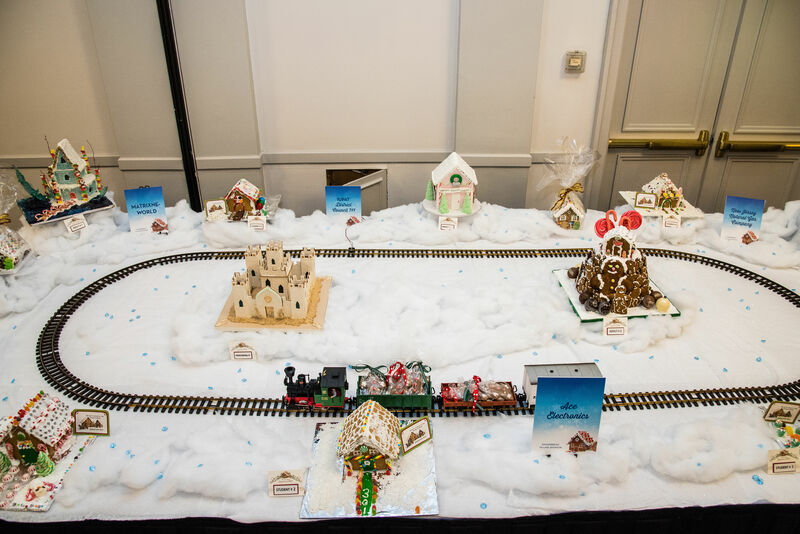 During the VIP Sponsor Reception, members of the NJ Bakers Board of Trade (NJBBT) judged the Gingerbread House competition entries in three categories – Professional, Amateur and Youth which were set in a picturesque Gingerbread House Village setting complete with a running train. Also featured throughout the evening was a Silent Auction of 78 decorated Holiday Gift Baskets that were designed and donated by AUSA friends, businesses, AUSA Community Partners and Individual AUSA members. The gift baskets were complemented with a variety of professional sports and celebrity memorabilia by Goodheart Sports & Collectibles of Forked River, NJ. As always, the Gingerbread Ball featured the current Miss New Jersey as a special guest. The 2018 Miss New Jersey, Ms Jaime Gialloreto, of Woolwich Township, NJ was available throughout the evening for photos with Gingerbread Ball attendees. Ms Taylor Tote, New Jersey award-winning Singer/Songwriter, sang our National Anthem. Our Guest Speaker, Mr Chad Williams, Navy Seal, motivational speaker and author of “SEAL OF GOD”, spoke to the audience about overcoming the odds and achieving your dreams. Mr Williams was introduced by a short video sent by Mr Pete Hegseth, FOX NEWS, Co-Host of Fox and Friends Weekend. Pete was our scheduled guest speaker. Unfortunately, he had to cancel at the last minute with an out of state assignment by FOX NEWS. Pete has committed to be our guest speaker for the December 7, 2019 Gingerbread Ball. AUSA National sponsored a Military table pictured below for Soldiers from the 404th Civil Affairs BN, Airborne, USAR who will be departing from Joint Base McGuire-Dix-Lakehurst (JBMDL) in January 2019 to Cameroon, Africa for a one year deployment. LTG Swan spoke at length with the Soldiers and with the Pastore family also sitting at the Military table who were presented with the AUSA National Volunteer Family of the Year Award at the AUSA Convention in Washington, DC in October 2018. SSG Vincent Pastore is assigned to the 254th Regiment (Combat Arms), NJ Army National Guard (NJANG). 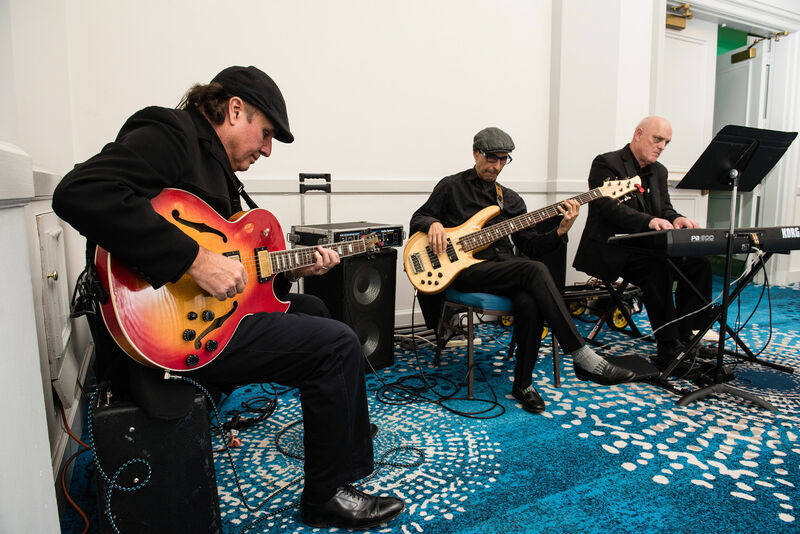 Following a 5 star dinner, attendees danced to the live music of The Jazz Lobsters and participated in dance routines inspired by members from the Arthur Murray Dance Studios. Of the 32 member Gingerbread Committee, chaired by Mrs Kit Roache, VP Programs, 28 are AUSA Monmouth Chapter members – HOOAH. Also, a special THANKYOU goes out from the Monmouth Chapter to all its Individual Members, Board Members and Community Partners and other associations who generously participated with sponsorships, underwriting, ads, donations and their time to make this Gingerbread Ball a highly successful event that was enjoyed by all participants.